Heating and cooling system at your house can be one of the most critical things to handle. If anything goes wrong, then it costs you a lot of money and tension. So it very important that you maintain your cooling system properly, by getting it regularly checked. 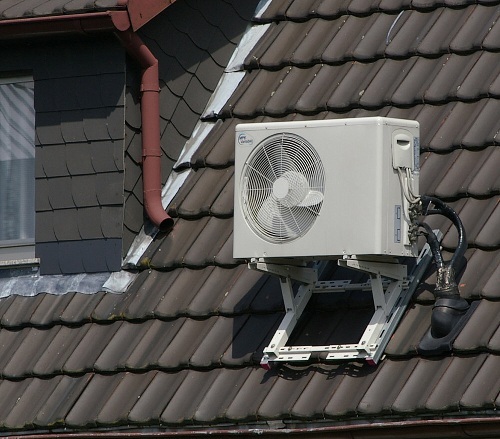 Air conditioner is very likely to get damaged due to many reasons. · Refrigerant leaks are one of the most common problems. It can be identified, since there might be a leakage, if the refrigerant is low. If there is a leak, then you will have to call a trained professional as soon as possible to fix the problem. In case of leak, you will have to hurry up as it is also harmful for the environment. · If you have an air conditioner at your place and you don’t maintain it regularly, then the fans and compressor may fail. There are also many other threats that might cause the damage to your AC, if not maintained properly. To avoid these issues, follow regular check to keep it at excellent working system. · If your air conditioner is frequently turned on and off, then the fan and compressor controls may wear out. Electric cut off may result in a severe damage. You need to call a professional to check your electrical connections and get the problem solved. · You have a thermostat sensor at the back of the control panel, which checks the air temperature that comes into evaporative coil. If there is any misplacement in the sensor, then the air conditioner may suffer great damage. The sensor must always be near to the coil and shouldn’t touch it. You can adjust the position carefully and bend the wire that is holding it in the place. · Sometimes if there is a lot of humidity outside, there is a chance that condensate drain may get clogged or will not drain properly. If there is a clog, then you need to call the professional to get it cleaned. · If your air conditioner is not providing sufficient cool air or is taking much time to cool the room, then it is possible that the compressor has worn out or there may be any other technical problems. You can install the gauge ports on the compressor and balance the pressure on equipment. If the problem still persists, then call the technician and get the new gauge ports. · Out of many reasons of compressor failure, one of them is overload or overheating. This may happen in case of electric fault in the appliance. You can check by locating the motor and the reset button, and in case there is a fault, then it will pop out. To avoid this problem you need to maintain the electrical system of the air conditioner properly. These are some of the problems that your air conditioner faces frequently, but there can also be any other technical fault due to negligence. By taking some necessary maintenance steps and performing regular check-ups, you can avoid such issues. Hire an expert electrician to solve your AC problems, click here, www.cariniair.com.